As with all hectic households, sometimes it isn’t easy to fit in all the tasks that you need to do. Whilst I don’t advocate multi-tasking, as this is the easiest way to end up with more job half-finished and often more stress, however, when it comes to cleaning it is more fun if you can have something to help you move a little bit quicker or you add a dance move or two! Cleaning is a great opportunity to ensure that while you are cleaning you are doing that little bit to help you stay healthy and active. Sometimes housework can feel like a chore, something you know you have to do but often getting the energy to motivate yourself to clean mightn’t be enough to get you moving. However, exercise is proven to show it improves the mood of a person and if we can use this to help us stimulate that motivation, the next time you clean it isn’t always as bad. I love speed cleaning, whilst I like nothing better than cleaning, I am easily distracted and that in itself is one of my biggest problems. However, if I set the timer I am able to keep focus for the 10 minutes and get the main task completed. I know the quicker I work the better it is to increase my heart rate and to burn calories, it mightn’t be a perfect clean, but if you do a speed cleaning session regularly enough then there is minimal build-up of dust between sessions. I don’t cope well with dirty floors and we have tiles in many places downstairs because they are easy to keep clean, well that is the theory. The problem I have is I dislike a mop and bucket type wash, I think it puts down too much water and after all I need to clean and dry the floors and mopping takes too long. I have a steam cleaner but I just don’t think it cleans well enough, my favourite method of cleaning is getting down on my hands and knees with a cloth, bucket of hot soapy water to wash and an old towel to dry and buff the floor. 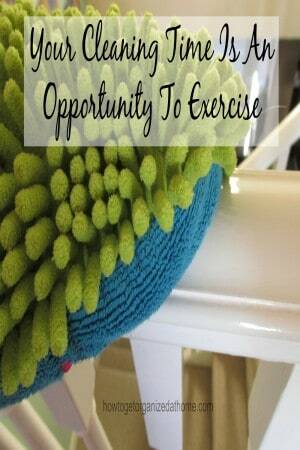 This type of cleaning is perfect for that intense workout and resulting in a clean floor. Don’t be afraid to move, how often do you leave objects on the stairs instead of just going up and putting the item away? Apart from objects left on the stairs can cause a trip hazard, going up and down stairs more frequently is a great form of exercise. Don’t be afraid to go outside and get moving there too. Windows on the outside need cleaning regularly and the more you do these tasks yourself, the more money you are saving because you aren’t paying anyone else to clean them for you. If you have a garden, this is a great opportunity to exercise and improve the look of your garden too, cutting the grass, weeding, all requires some physical act of movement, which is beneficial to your health and well-being. Therefore, using your cleaning as a way to increase the amount of exercise you do each day is great, because even if you can’t get outside for a walk or go to the gym at least you are getting a great workout at home. If you are looking for more articles on this topic then head over to the landing page where you will find links to other posts on cleaning. Great points! But scrubbing on hands and knees?? Not me! 😉 But you enjoy it for me! I am the queen of getting distracted while cleaning. Dusting turns into straightening, which turns into me running all over the house returning things to their rightful places, and a stray dish has me washing the dishes and then wiping counters, when I really just started trying to DUST . . . I will definitely try setting a timer to keep me on one task at a time. Awesome! I posted about this very topic months ago, too! 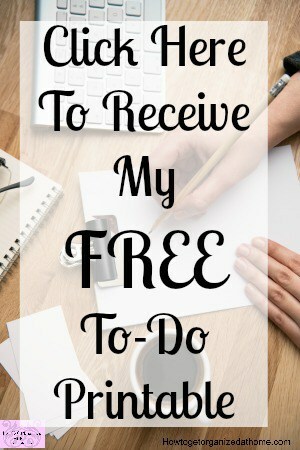 http://theladyprefers2save.com/?p=10315 Thanks for linking up this week at Merry Monday’s!